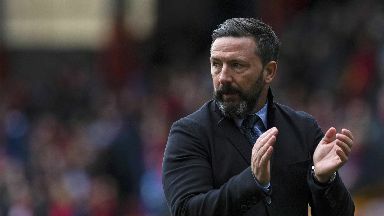 Derek McInnes says he's unfazed by the prospect of a Scottish Cup quarter-final at Ibrox. 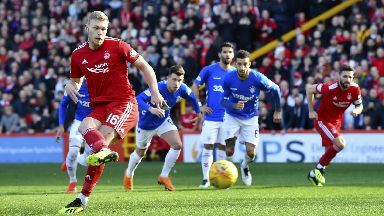 The defender hailed his 'massive' goal as Rangers set up an Ibrox cup replay with Aberdeen. 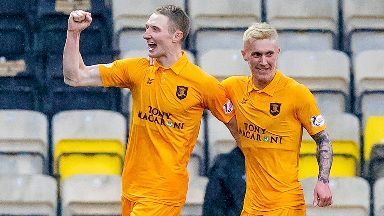 Worrall cancelled out Cosgrove's opener to send the Scottish Cup quarter-final to a replay. Goals from Forrest and Brown ensured Neil Lennon made a winning return to Easter Road. 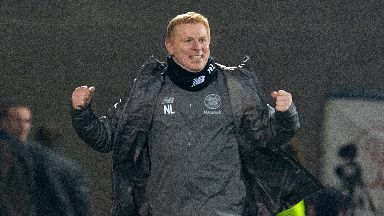 Celtic's strong second-half showing ensured Neil Lennon made a winning return to Easter Road. Kilmarnock and Motherwell played out a goalless draw, while St Mirren left it late to win. 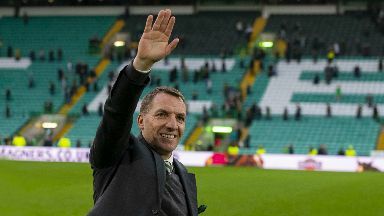 The ex-Celtic manager explained his reasons for leaving and reacted to supporter criticism. 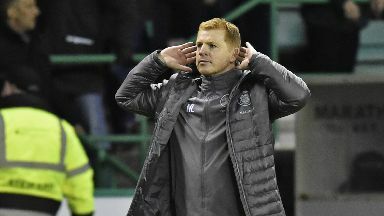 Scottish Cup quarter-final forces Lennon return to Easter Road just weeks after departure. 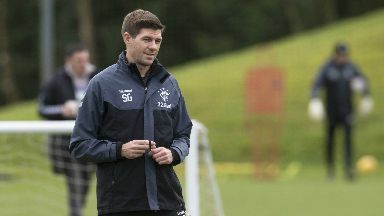 The Rangers boss hopes both men will stay on the pitch for the full 90 minutes on Sunday. 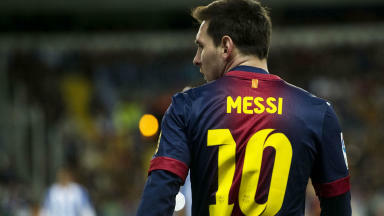 The second El Clásico in just four days will be streamed on the STV Player this weekend. 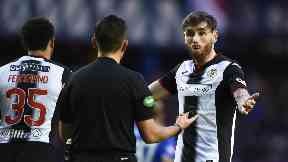 St Mirren midfielder Greg Tansey is to serve a two-match ban for serious foul play. 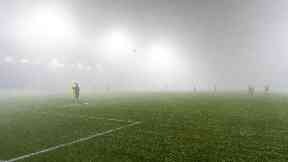 The match was abandoned due to heavy fog at Rugby Park on Wednesday night. Scott Brown said Celtic's win over Hearts was crucial after 'sad times' as Brendan Rodgers left. 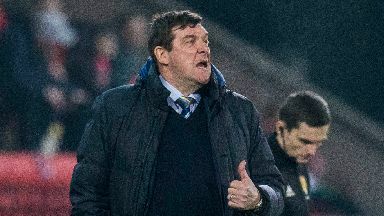 The St Johnstone boss believes referee Gavin Duncan was "conned" by the striker. 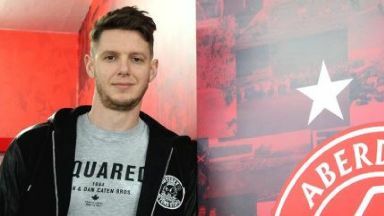 The Accies boss said he took lessons from a heavy defeat against Rangers. 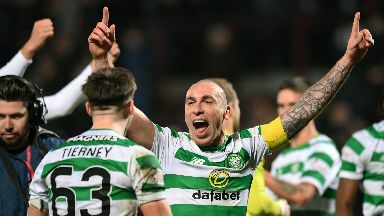 Odsonne Edouard netted a last-gasp goal to seal a 2-1 win at Tynecastle. 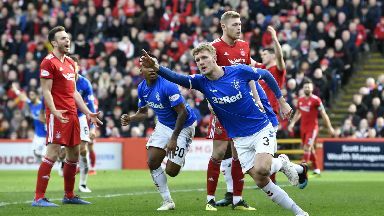 The Rangers boss said his side was "sloppy" in the second half at Ibrox. 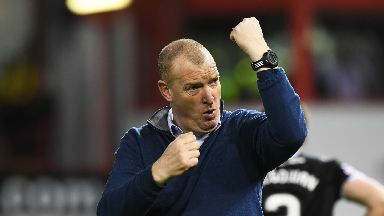 Hamilton defeated Aberdeen while Hibs bounced back to beat St Johnstone. 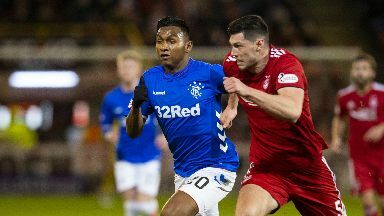 The Colombian told a radio station in his homeland that the Premier League was his target. Rodgers has been appointed as the new manager of English Premier League side Leicester City. 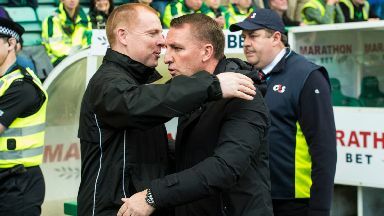 Lennon is straight into action when Celtic visit Hearts on league duty tonight. The Spanish cup semi-final tie is finely poised at 1-1 following the first leg. The 34-year-old has joined the Pittodrie side on a deal until the end of the season. 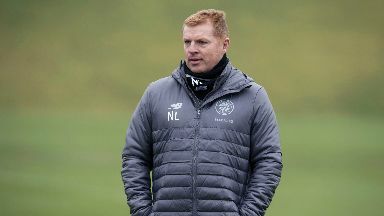 Lennon will be in the dugout at Tynecastle when the Scottish champions take on Hearts on Wednesday. 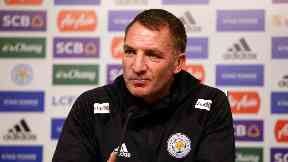 Lennon will take interim charge of the club after Rodgers quit for Leicester City. 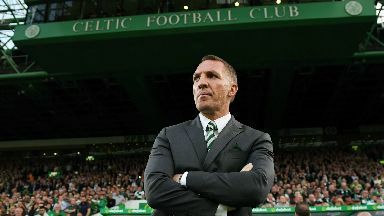 The Celtic boss is on the verge of becoming the new Leicester City boss. 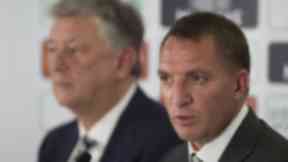 We look at the reasons why Brendan Rodgers is calling time on his spell as Celtic manager. 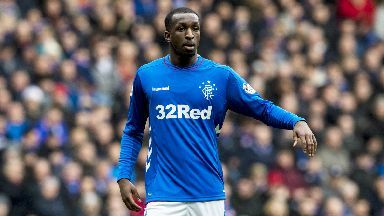 Steven Gerrard says Rangers bagged a bargain by signing 'top player' Glen Kamara. 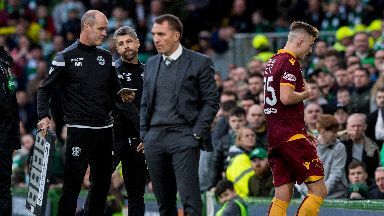 The Fir Park boss has hit back at the criticism of his team's controversial goal at Celtic Park. 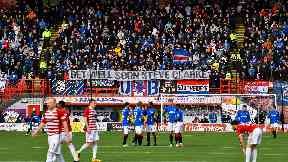 Kilmarnock manager responds to banner held up before Rangers' 5-0 win over Hamilton. The Rangers manager believes the lure of England's top flight was too strong to turn down. 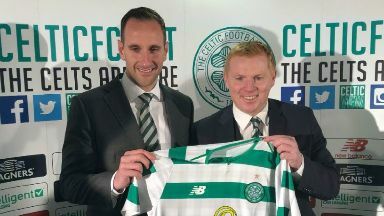 Neil Lennon could return to Celtic as interim boss until the end of the season. Davie Weir believes winning a trophy this season would prove defining for Steven Gerrard. The Celtic goalkeeper saw his run of clean sheets come to an end in controversial fashion. 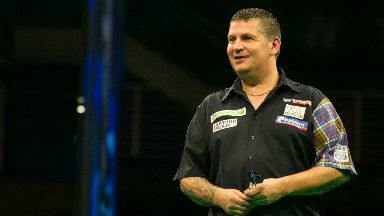 The two-time world champion will make his first competitive appearance of 2019. 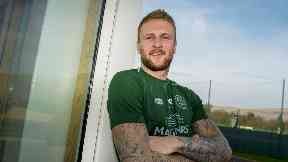 The Celtic boss was critical of Motherwell striker James Scott. 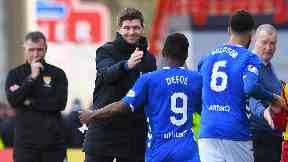 Rangers beat Hamilton Accies 5-0 with five different scorers. 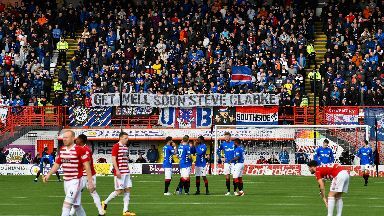 Some supports unfurled a banner that read "Get well soon Steve Clarke" before kick-off. Their Six Nations hopes are gone for another year but dark blues must continue to grow. 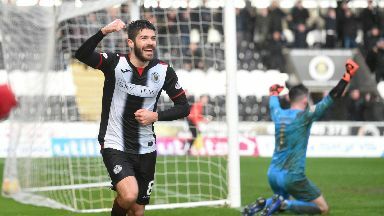 The former Partick Thistle forward was praised by new boss Gary Holt. 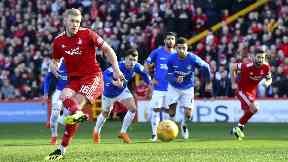 Draws at Pittodrie and Tynecastle have helped to energise the Paisley side. 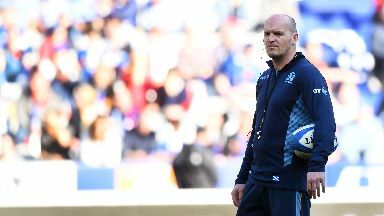 The coach says mistakes have to be eradicated if Scotland are to defeat Wales. 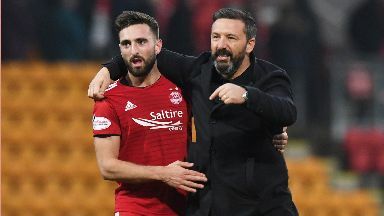 The Aberdeen boss says he hopes Shinnie decides to remain at Pittodrie. 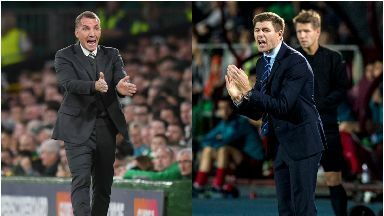 There were three matches played in the top flight on Saturday afternoon. 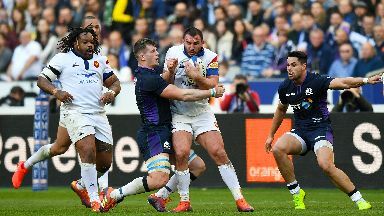 Les Bleus earn a bonus point as Gregor Townsend's side are soundly beaten in the Six Nations. 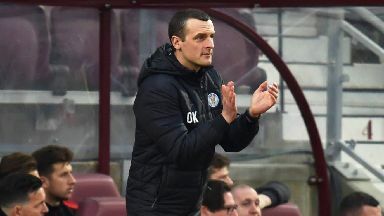 Paul Heckingbottom watches side move into the top half of the Premiership. 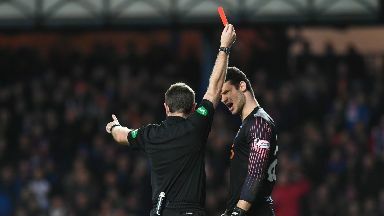 Daniel Bachmann was sent off for violent conduct against Rangers in the Scottish Cup. 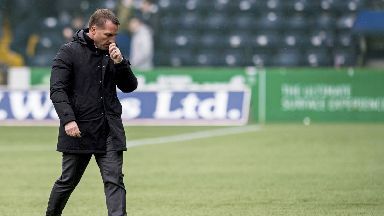 Defensive problems reared their head again for Celtic as they bowed out of the Europa League. 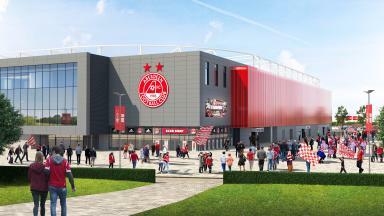 Humza Yousaf MSP says government will act if football clubs don't take appropriate measures.